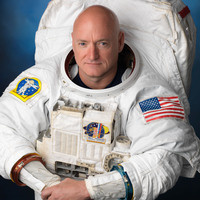 Scott Kelly, former commander of the International Space Station and U.S. Navy captain, will speak at Macky Auditorium on Wednesday, Oct. 3. Kelly is being hosted by the Distinguished Speakers Board, a CU Boulder student-led organization. Doors will open at 6:15 p.m., with the event beginning at 7:30 p.m.
CU Boulder student ($2) and faculty/staff ($15) tickets will be cash only and will require a valid Buff OneCard at time of purchase. Tickets will be sold weekdays beginning Monday, Sept. 17, from 10 a.m to 3 p.m. at the first-floor event table in the University Memorial Center and will continue through Oct. 2 or until tickets are sold out. Public tickets ($25) will be available beginning at 10 a.m. Monday, Sept. 17, exclusively at colorado.edu/macky. Audience members are encouraged to submit questions for Kelly via #KellyCU on Twitter or Facebook, which will be posed during a moderated Q&A following the speech. Learn more about Kelly and the Distinguished Speakers Board at CU Boulder Today. Amazing speaker! He covered a lot of his book in short amount of time. He was truly extraordinary. Additionally, I enjoyed having the panel questions from students. Wish he could speak more technically to the effects of a Year in Space but perhaps he is unable to. It was so good. I was so happy to have been able to see him speak. Scott was very fluid and entertaining in his presentation. He spoke on his trials from birth to becoming an astronaut, and key or anomalous events that happened in between. He accepted online question from the audience after giving his talk.